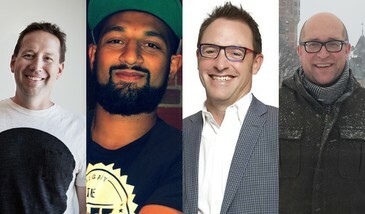 The Sled Island Music & Arts Festival is thrilled to welcome four new members to their board of directors: Chris Gokiert, president of Critical Mass; Sarmad Rizvi, general manager and talent buyer of the Hifi Club; Terry Rock, past president and CEO, Calgary Arts Development Authority; and Rob Schultz, Accountant at Agrium. The festival is confident that their enthusiasm and wide range of expertise will compliment the existing board to ensure both the success of the 2014 edition and the organization’s long-term sustainability. Mr. Gokiert, Rizvi, Rock and Schultz are joining current board members: Christina Colenutt – Research & Insights Consulting; Brian Milne – Norton Rose Fullbright Canada; Dan Northfield – The Palomino Smokehouse, Drum & Monkey and Bamboo Lounge, Republik, Local 510; Chad Saunders – National Music Centre; and Craig Stenhouse – Cenovus. Sled Island would also like to acknowledge the passion and dedication of past board members Jeremy Black, Peter Maitland, Zak Pashak and Scott Wenger. Founded in 2007, Sled Island is Western Canada's largest independent music and arts festival. The festival celebrates and showcases the best emerging and established local talent alongside international sensations, with over 250 bands, film screenings, art exhibitions and installations, comedy performances and more across five days in over 30 venues in Calgary. The 2014 edition of the festival is set to run June 18-22. Passes are on sale now at special limited time pricing at sledisland.com.